The Every Student Succeeds Act (ESSA) has created an opportunity for school librarian advocacy. School librarian leaders and advocates from across the country are working together to ensure that their state- and district-level decision-makers include the important role of school librarians and libraries in preparing future ready students in their ESSA plans. 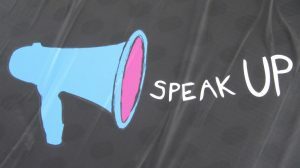 The message we intend to convey is that more than at any previous time in history, when information and technologies are changing at an astounding rate and “fake news” and “alt facts” are proliferating, the expertise and guidance of school librarians must be highly valued and utilized by other educators and students. ESSA Title II, Part A, notes that school librarians are responsible for sharing professional learning for colleagues and disseminating “the benefits of new techniques, strategies, and technologies” throughout the district. 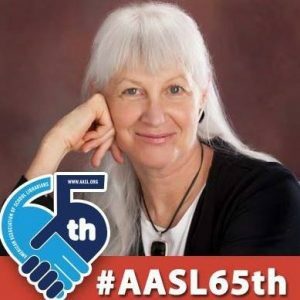 In their advocacy efforts, many school librarian state associations have benefited from the support of workshops offered by our professional association, the American Association of School Librarians (AASL). Last fall in order to support state-level ESSA advocacy efforts, AASL provided ESSA trainings in 30 different states in just 60 days. AASL provides ESSA and School Libraries information on their Web site. In some states, like Arizona, the Teacher Librarian Division is part of the larger state-level library association. The Arizona Library Association Legislative Committee and Leadership team took a lead role in informing the Arizona Department of Education about the critical importance of including specific language related to the work of school librarians and the role of school libraries in educating future ready students. It is encouraging when academic, public, or special librarians speak out on behalf of preK-12 school librarians. 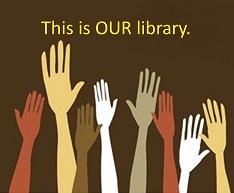 It is even more encouraging when classroom teachers, school administrators, parents, and other community members raise their voices in support of the essential roles of school libraries and libraries in preparing students for college, career, and community readiness. If you are someone who is concerned about the quality of education students are receiving today and will receive tomorrow, please find out how you can ensure that school librarians’ work is specified in your state- or district-level ESSA Plan. School districts will look to their state-level plans to determine their priorities for school improvement. By incorporating language related to school librarians and libraries in ESSA, we can collaborate to support all students and educators in having access to an instructional leader/information specialist and the print and electronic resources they need to succeed. “Future ready” is catching fire. In the education landscape, “future ready” denotes students, educators, and school districts that are being effectively prepared or are preparing learners of today for the challenges of tomorrow. The emphasis on digital learning is at the core of this movement. 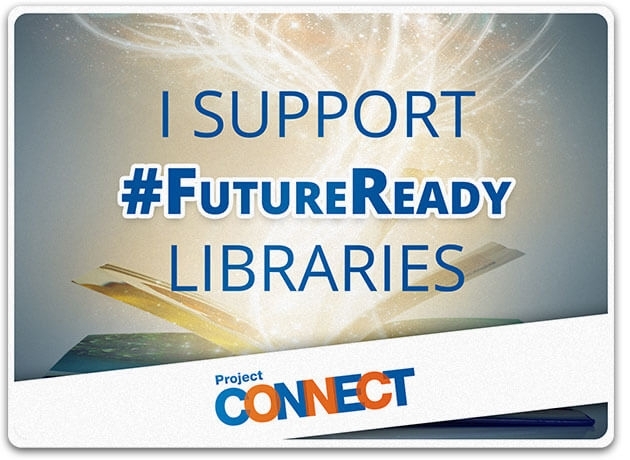 Fortunately, many educational decision-makers are recognizing that school librarians and libraries are important components in future ready teaching and learning as the image from Follett’s Project Connect attests. Launched in 2014 with the Future Ready Pledge, the Alliance for Excellence in Education has collected more than 3,100 school superintendents’ signatures. According to the Future Ready Web site, this means that the learning of 19.2 million students and their teachers’ teaching are being impacted by the framework for this initiative. In June, 2016, FRS announced the Future Ready Librarians piece of their effort. (Note the links on this page to additional articles that spotlight the work of school librarians.) This movement toward the transformation of teaching and learning is inspiring many school librarians to self-assess their own future readiness and prepare themselves for partnering with administrators and teaching colleagues to implement the eight principles of the Future Ready Librarians (FRL) Framework. 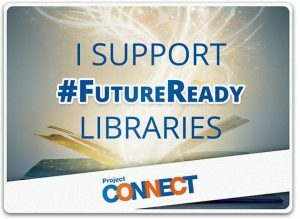 The Future Ready Librarians Facebook Page is one source of professional development for school librarians. This is a closed group and participants must request access. Searching Twitter with the #futureready and #FutureReadyLibs hashtags are additional ways to be connected. This groundswell of support for the role of FRL and school libraries should energize the school librarian community. It should prompt and inspire professional development. School librarian Michelle Luhtala, Vancouver Public Schools library administrator Mark Ray, and Sara Trettin from the U.S. Department of Education provided a FRL Webinar via edWeb last October. You can view the archive. On February 14, the Alliance is hosting another Webinar focused on FRL: “What’s Not to Love?” This time, Shannon McClintock Miller will join Mark RAy and Sara Trettin. Check it out! Over the past weekend and today, people are honoring Dr. Martin Luther King, Jr.’s work and life. If I were in charge of the world, young people would spend this school “holiday” in classrooms and libraries across the country. K-12 and college and university students and educators would be engaged in dialogues about Dr. King’s legacy and how each individual and groups of like-minded people can carry on his work. Since, this is a holiday and students are not in schools, I am hoping that educators across the country are pausing to reflect on how their teaching can best embody the social justice work of Dr. King. For school librarians, the articles in the January/February 2017 issue of Knowledge Quest (KQ), the journal of the American Association of School Librarians, could be used as prompts to engage in deep reflection. The articles in this issue connect the work of school librarians and the role of school libraries to the imperative to contribute to a more-just society in which all people and their cultures are represented, respected, and given voice. In library collections and through school librarians’ teaching, instructional partnerships, and leadership, librarians can be role models—in our words and deeds—for marginalized students and families. In their article, “Shifting Lenses on Youth Literacy & Identity,” Kafi Kumasi and Sandra Hughes-Hassell remind readers to keep our focus on the purpose of literacy. “All libraries must be spaces where young people are encouraged and supported to develop their voices, tell their stories, and to share their unique perspectives on how we can create a more-just world” (18). Literacy gives people the tools they need to participate effectively in their civic lives as well as their personal and professional lives. Let’s all use our voices to engage one another in civil discourse, to empower ourselves and one another to bring about positive change, and work together to increase justice in our local communities, nation, and global society. Kumasi, Kafi, and Sandra Hughes-Hassell. “Shifting Lenses on Youth Literacy & Identity,” Knowledge Quest 46, no.3, 12-21. Although it goes without saying that trust and communication are essential building blocks for collaboration, these two components for effective relationships are not simple to achieve. My husband and I are currently fostering a Goldendoodle named Riley (pictured here). We are committed to adopting rescue dogs and giving them the best homes possible. My dog allergies make adoption difficult for us and prevent us from bringing home needy but shedding dogs from the humane society. Riley has been with us for just one week. We are taking very small steps since Riley was not well socialized for the first two years of his life, slowly building trust, and learning to communicate with one another. This experience reminds me of the challenges of building trust among colleagues. Trust is built when all parties show they are trustworthy. Synonyms for trustworthy include dependable, reliable, and responsible. It is difficult or even impossible to build trust without communication. 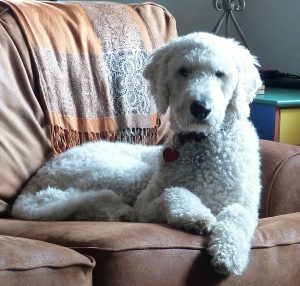 Just as Riley has brought his prior experiences of (or lack thereof) dog-human relationships, so do collaborating educators bring their prior experiences. While everyone can probably name a time when a colleague dropped the ball and collaborative work did not meet our expectations, it is important to enter into each new partnership with an open mind and heart. It is also essential to communicate. For me, disappointments in “collaborative work” happen when partners have different definitions of collaborative work. In my experience, not all people make the distinctions I make between cooperation, coordination, and collaboration. Simply dividing the work with each person doing their “part” is cooperation. Cooperation is informal, short term, and lacking in planning effort; each individual maintains authority, and there is no joint mission or structure. Coordination requires a longer duration; the relationships are a bit more formal with an understood mission, a specific focus that requires some planning. Often one person will take the lead in coordination and the other(s) will simply follow along. While there is more intensity in coordination than in cooperation, authority is still maintained by the individuals involved. Collaboration is a way of working together. It involves communication in which equal partners determine and set out to achieve specific goals and objectives. Collaborative partners are interdependent; they are jointly responsible for the entire project, not just for “their” individual parts. They provide each other with feedback and push each other to do their best. They are committed to succeeding together and in the final analysis, cannot separate their individual work from the collective whole. There are many electronic tools that allow educators to communicate and collaborate effectively. In terms of collaboration, one of the potential pitfalls is that it is easy to use some of these tools to cooperate or coordinate our work without ever having a collaborative experience. For example, when we use a Google Drive document and simply do “our part,” we are not collaborating. In order to utilize this tool for collaboration, we must be leaving comments and feedback for our partners, asking each other questions, or better yet, scheduling a real-time time conversation over chat, Google Hangouts, or other tools to bounce ideas off each other and work toward a shared understanding of what will constitute a high-quality outcome for our work. I have fallen into the trap of disappointment in “collaborative work” when there was no shared understanding or clear communication among partners. Hoping for collaboration is not enough, especially when I know that the final product could have been so much better if we had developed the necessary trust at the beginning of the project. Thank you to Riley for reminding me how challenging and how essential it is to build trusting relationships and how clear communication is a first step toward that end. Like many of you, I reflected on my most satisfying accomplishments and my incomplete projects of 2016 before settling on my 2017 New Year’s Resolutions. Although I am big on setting short-term achievable (daily/weekly) goals, it’s helpful for me to have a year-long big picture plan as well. This year, I will re-commitment my professional work to collaboration within school learning communities and outward into the larger local, state, national, and international communities as well. As they have for more than twenty-five years, my resolutions focus on the literacy work of school librarians and school library programs. and I will enact my library values in my professional and civic life. There is much work to be done to promote equity and justice. “Man’s curiosity, his relentlessness, his inventiveness, his ingenuity have led him into deep trouble. We can only hope that these same traits will enable him to claw his way out. Hang on to your hat. Hang on to your hope. And wind the clock, for tomorrow is another day” (White, cited in Sweet 132). And I would add: Let’s work together for equity, social justice, and the betterment of all! Sweet, Melissa. Some Writer! The Story of E. B. White. New York: Houghton Mifflin Harcourt, 2016.